While the dream of home ownership comes with a great deal of benefits and perks, it also comes with a fair amount of responsibility. All maintenance, simple or more involved, needs to be dealt with, and while some things you’re more than capable of doing yourself, once in a while you need to call in a specialist. If you need to find expert tree cutting services in Los Angeles, you might not know quite where to start. Here are some helpful tips on how to best locate a provider for your tree maintenance needs. Sometimes Mother Nature throws us a curve ball. Maybe the Santa Ana winds or a recent thunderstorm has damaged trees on your property, creating a mess that you need a hand with cleaning up. Tree cutting services can be of great help to you in this situation, but how do you find the best one available? One helpful place to start is asking your friends or neighbors. Chances are, you know at least one fellow homeowner who has had to seek out tree maintenance at some point, and this way you’re not just picking out a name in the phone book. These days, it seems like just about all commerce takes place on the web. Just like you’d do a web search to find the best doctor in your area, you can use the internet to find household services as well. Beyond just getting a list of businesses offering tree cutting services, you’ll find that there are sites like Yelp where you can read people’s reviews. This allows you to shop around and compare a variety services so you can best find exactly what you need. If you need tree cutting services and you’ve done a bit of research on where to turn, you’ve probably heard about us at Your Way Tree Service. We offer a variety of tree maintenance solutions in the Los Angeles area, and we can have your property looking immaculate once again. 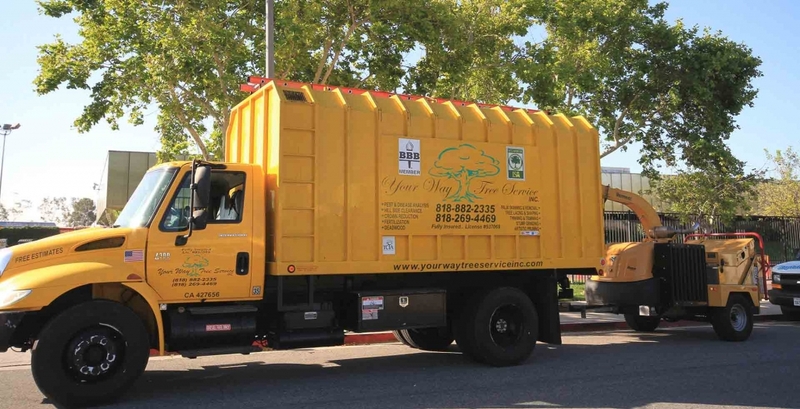 Explore our website at www.yourwaytreeserviceinc.com, or give us a call at 818-882-2335. You can set up an appointment for one of our experts to come and do a tree inspection, and we can take the first step toward restoring the curb appeal of your home.